This thread is old. An updated version of it can be found at the link below. This is being kept here for now until I get the time to consolidate and prune everything, make it much cleaner, and await some more data from DavidB. the solid axle is found in the USDA 1984 CA20E cars, some candian built 85's, and some FJ equipped cars. the suspension design utilizes a 4 link design similar to a 4x4 truck, with the sway bar mounted under the axle and attached to the lower links. the axle model is a H190 and features a open differential. Maximum Torque Capacity ~285 lb. ft.
* lack of camber adjustment means u can lower it and not have to worry about the wheels tipping in. * easier to build then IRS type rear ends. * lacks a "Panhard Bar"
Typically, stock type camaro shocks will lower the car around 1.5" - 3" while a performance shock will lower it anywhere from 1" to 5"
- adapting to 2.5" springs: fabricating a retainer plate will be required if you wish to run smaller diameter springs. Simply drill and tap spring seat to suit 1/2" bolt, drill into a plate, and you have a retainer. There is a pre existing hole which makes this process very easy. Use no smaller than 1/2" use fine thread if possible. - for long term drift/race cars, stock 4-links will need to be reinforced for strength, as they bend quite easy. Julie, just copy and paste my info and then I will delete it. Rear spring seat will take a 3" - 3 1/8" coil over spring safely. 2.5" Coil over springs can be used IF you make a spring retainer. Simply drill and tap spring seat to suit 1/2" bolt, drill into a plate, and you have a retainer. There is a pre existing hole which makes this process very easy. Use no smaller than 1/2" use fine thread if possible. 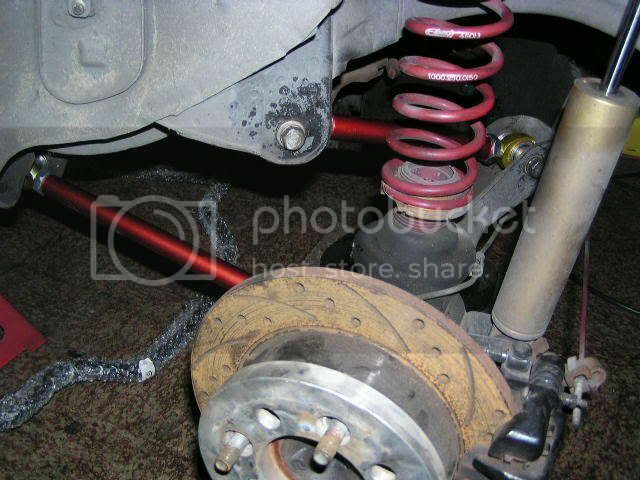 Lowering more than 2" with stiff springs will require either short stroke shocks (3RD Gen Camaro is cheapest ($30 EA)), or a cable tie system to prevent spring from coming out. For a long term drift, or race application gussets should be used to reinforce the four links. The are VERY weak and will bend. All of my pony car suspension "Dos, and donts" were researched using forums and google to spy on race setups. I also found an AE86 guy that is running 300lb per inch springs on 13,000 mile camaro sensatracs and they are still not blown. There is a fox mustang road race car that used 750lbs per inch front, 450lbs per inch rear on AGX for an entire season. Both of these cars are SIGNIFICANTLY heavier than any S chassis. max. torque capacity ~285 lb. ft.
thats all i have off the top of my head, all my other info is at home. i got that info from wikipedia, the source looks damn viable though. its in a book about all the different kinds of datsun diffs . Has anyone added a panhard bar or a watt's linkage of any sort to the s12's solid rear? i have been interested in doing this, do you guys think its not needed? also i just thought about maybe having a air ride suspension on the rear. this cross anyones mind? The advantages of it is that it DOES lack a panhard bar. Those are absolute crap. Besides, the s12 4-link setup has the 2 bars on the top, with the 45 degree angles which means you don't even need a panhard bar to control lateral movement. As for going 5-lug, there's really no point since 4-lug rims are really nice and cheap in our sizes(under 16"). I kind of regret it, but it's too late now. If anything, get the 4lug to 5lug conversion spacers. Oh as for using 3" to 3 1/8" spring spacers, would that be the OD of the spring perch? If so, you can use the Daymotorsports spring spacers that I have(IRS) and run a 5" spring. I'm sure it'll clear the chassis side, but remeasure to make sure. If not run some kind of adjustable sleeve that'll clear it. Damn, Now I wish I had a solid axle notch with a KA in it haha. 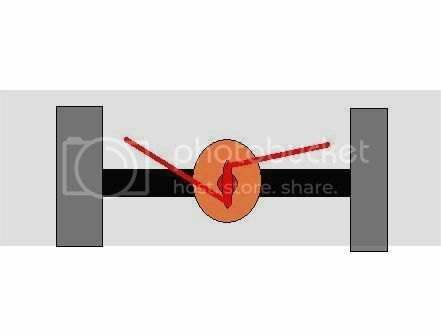 Echoing this, Pan hard bar equipped live axle setups have the problem of the axle moving to one side during suspension travel because of the bar being a static length. The s12 setup is pretty much as good as it gets with a live axle suspension design. The two upper arms being angled outwards from the center of the axle control lateral movement just fine. Indeed. Just reinforce the link mounts and get stronger links, that would do nicely. And I wouldn't call the H190 "strong" either, it's no stronger than an R180 and those break at around 260-300Tq. Well, the spider assembly will frag anyway, the ring gear is ok though... Like the R180, it needs more LSD. I posted this information in 2002 in the old forum before it was shut down and the data lost. Now remnants of that info are scattered here but its now coming together again thanks to julie's endeavor. Some of this I forgot since its been a long time since I fooled around with it. So here it goes. I hope this helps out in some way. I'll be back for more developments. Here's an updated pic w/ T3 4-links. Any ideas on using m30 or Z32 rear calipers? They both have use drum e-brakes while using a caliper for regular braking. The M30 has smaller brakes and 4-lug I believe. Maybe test out an M30 rotor and see if it works with the S12 drum brake. All that would be left would be using the m30 rear caliper if the e-brake works. If not S12 IRS/Z31 stuff would probably be nice too hehe. You will need custom mounts for them in which I had in mind. Nothing is impossible its just a matter of how much do u want to spend? what specs you need from m30? i have mine apart right now, ill take pics and measurements if you like. maybe a new thread for brake setups? install 2 bolts in the holes of the calipers and measure from center to center, or from center to center of the holes themselves. Anyone want to post some links or part numbers for the adjustable spring perches? hey radracer how did you mount your perches? Simple. Drill/Cut a big hole and mount spring on it. We also have a range of poly urethane bushes available for the rigid h190, these tend to negate the need for a panhard rod, i currently run an engine that produces more than 390nm / 286 ft/lb's of torque and it doesnt walk sideways at all under full load....Pinion is now fully out of whack and the diff screams under load but...no walking.